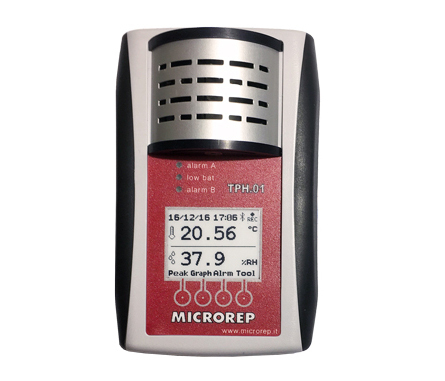 The TPH.01 unit is programmed via software to read data at a given frequency. 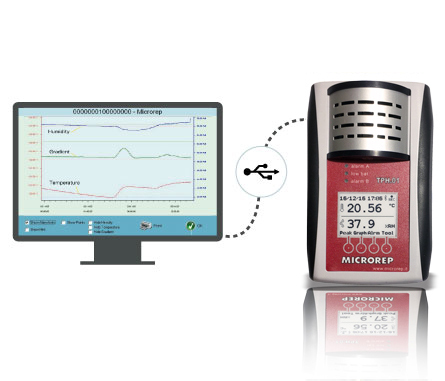 Thanks to the built-in memory and battery, the unit can work 24h, collecting temperature and humidity data even if not connected to the PC. The software allows to program the unit, download and manipulate data (chart available). When the unit is connected to the PC, the TPH.01 memory can be downloaded to the software. All data are stored into the software database and can be used to study or show the environmental conditions history. 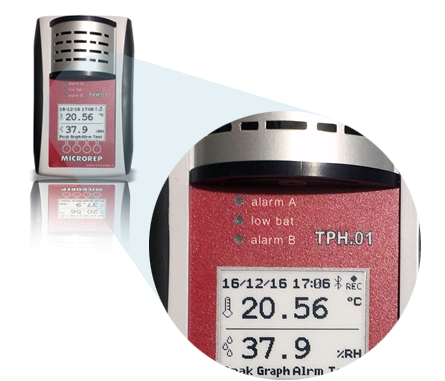 The TPH.01 unit can be programmed to display an alarm when a specific environmental condition is exceeded. It is possible to define alarms for the temperature, the humidity and the gradient (temperature drift). For each allarm it is also possible to specify a pre-warning limit and a worning limit, as well. Alarms can be visualized with a blinking led or a buzzer. In case of alarm the PC can automatically send a message via e-mail. The TPH.01 is supplied with a fitted carrying case to provide protection during delivery, storage and future movements.